Few individuals in church history are as popular as Augustine of Hippo. His impressive body of work on diverse subjects, combined with his tremendous influence on Roman Catholics and Protestants, have led believers to imbue Augustine’s writings with great authority. Consequently, he is frequently cited by those seeking support for their particular position on theological matters. This practice is especially observed in the creation versus evolution and age of the earth debates. Young-earth creationists, theistic evolutionists, old-earth creationists, and intelligent design proponents have each claimed Augustine as one of their own and each of these scholars has provided quotations of Augustine which seem to support their view. The famous church father wrote four separate commentaries on the first chapter of Genesis. This paper surveys these works and demonstrates that Augustine was not concerned with the modern controversy. Nevertheless, his purpose for writing each commentary and the varying hermeneutic throughout these works has led to the confusion that exists concerning his beliefs. Modern participants in the age of the earth debate can gain remarkable insight from these commentaries. Biblical creationists have repeatedly warned about the dangers of allegorizing narrative passages and reinterpreting the text based on the science of the day. Since these two practices are exemplified in Augustine’s writings on Genesis, readers will see why the literal historical-grammatical hermeneutic protects one from making egregious interpretive errors. When the plain sense of Scripture makes common sense, seek no other sense, lest you make nonsense (Cooper 1970, p. 11). This common refrain, sometimes called the “Golden Rule of Interpretation,” was often practiced by St. Augustine. However, Augustine often sought another sense and this fluctuating hermeneutic has resulted in confusion over exactly what he really believed on some subjects. This is especially significant because of his tremendous influence over centuries of scholars from theologically diverse backgrounds. It is not uncommon to see scholars on opposite sides of a controversial subject cite him in support of their view. Augustine’s varying hermeneutical approach is easily noticeable in his commentaries on the Book of Genesis. His interpretive schemes set forth in these volumes have been variously labeled as literal,1allegorical, (Clough 2001, pp. 39–40) spiritual, (Dockery 1992, p. 23) figurative, (Lavallee 1989, p. 458) and figural (Ellingsen 2005, pp. 27–28). Augustine’s influence, combined with the diverse understandings of his writings, has contributed to the confusion in the modern church on many key subjects found in Genesis 1. The modern debate over the Scripture’s teaching on the age of the earth is one of the hottest controversies in the church today. It is surprising that Augustine has been cited as a supporter of each of the views in this contest. This is largely due to a failure to recognize Augustine’s context and his purpose for writing what he did. However, his diverse teachings on these early chapters have not always helped matters. Because he is so greatly respected and frequently cited his work has infused confusion into an already misunderstood debate. This paper will offer an examination of Augustine’s four commentaries on the book of Genesis. It will be demonstrated that the vast majority of his observations in these books have little bearing on the modern dispute because he was focused on entirely different issues. Nevertheless, even though he was not concerned with the modern contest, one of his hermeneutical practices set forth in these commentaries has contributed to the ongoing dispute. St. Augustine paid special attention to the book of Genesis. He wrote three commentaries on the book: On Genesis: A Refutation of the Manichees, The Unfinished Literal Commentary on Genesis, and The Literal Meaning of Genesis. He also committed the final three books of his Confessions to Genesis as well as Book XI in his magnum opus, The City of God. Michael Fiedrowicz revealed that Augustine also dealt with the subject of creation in many of his other works, including Answer to an Enemy of the Law and the Prophets, Faith and the Creed, and Answer to Julian (Fiedrowicz 2002, p. 14). His three commentaries and his books on Genesis included in The Confessions will be examined in detail. Augustine placed tremendous emphasis in the ability of the creation account to refute many of the false views of his day. At the risk of stating the obvious, it must be mentioned that if the Genesis creation account is true, then any view which contradicts it is necessarily false. Moreover, the study of origins is foundational to any belief system. If one’s foundation is demonstrated to be flawed, then his beliefs cannot stand. This points up the wisdom which Augustine displayed in utilizing the Bible’s first book in his apologetic approach. not to turn [his] back on the usual common way of talking, if [he] had it in mind to purge from the spirits of less educated people also such pernicious errors as these (Augustine 2002a, I.1.1). Augustine could have easily written at the scholarly level, but this approach illustrated his pastoral concern for his fellow believers.2 His work on the Trinity revealed his erudition, but this work revealed his desire to communicate to the layman who is at the greatest risk of being deceived. did not dare expound in their literal meaning such great mysteries of the natural order, that is to say, how what is said there can be taken as strictly historical (Augustine 2010, I.18). As a former Manichee, Augustine had believed a literal interpretation of the text led to ridiculous ideas about God. This will be explained in the next section. However, Ambrose’s spiritual interpretation of the text convinced Augustine that Genesis could be accepted as long as one interpreted it allegorically. Five years after completing his first commentary, Augustine tried his hand at a literal commentary. He never finished this commentary, but would spend 15 years working on a second literal commentary. The concept of a literal interpretation is rather imprecise, as people understand this idea differently. As typically understood by conservative evangelicals, a literal interpretation of Scripture seeks the plain meaning of the text as if it was written in everyday language. As such, one recognizes the use of various figures of speech and is careful to interpret them accordingly. For Augustine, a literal interpretation was occasionally different. As Williams noted, Augustine considered his hermeneutic to be literal because he read the creation story as a creation story, rather than a story about the church or individual salvation (Williams 2001, p. 62). This understanding allowed him to spiritualize passages as long as the overall subject was not altered. He followed this remark by explaining that a skin can literally be stretched around a rounded surface, such as a dome, or across a flat plane. Consequently, he thought it was possible to make sense of the passage through both an allegorical and a literal approach. Before investigating the four commentaries, it must be noted that Augustine was commenting on the Vetus Latina, the Old Latin text of the Bible, which would soon be replaced by Jerome’s Vulgate. This translation was based on the Septuagint, the Greek translation of the Hebrew Old Testament. Since the Vetus Latina was a translation of a translation and was somewhat unreliable, Augustine occasionally struggled to make sense of a passage which was inaccurately rendered. If a modern critical text was available to him, his commentaries would have been less problematic. Each commentary surveyed will contain a brief discussion of the problems caused by the Old Latin Bible. It is true, of course, that I had had the Manichees in mind in those earlier books, in whatever arguments I used in order to show that God is supremely good and unchangeable, and yet the creator of all changeable natures, and that no nature or substance is evil precisely as a nature of substance (Augustine 2010, I.10.1). Despite the Christian training of his youth, by the age of 19, Augustine was persuaded against Christianity by Manichean arguments, which were often focused on Genesis 1 (Augustine 2002, I.2.3). He soon became a member of the sect but later began to have doubts about Manichean claims and came under the influence of Neo-Platonism. St. Ambrose’s spiritual interpretations of the text eventually convinced Augustine of the reliability of the biblical account. Realizing Manichaeism and Neo-Platonism did not provide the answers which he sought, Augustine converted to Christianity and set out to critique his former beliefs which were a threat to other believers in Hippo (Fiedrowicz 2002, p. 105). Like many of today’s cults, Manichaeism accepted parts of Scripture and rejected other sections. They held the Apostle Paul in high esteem (O’Meara 1954, p. 63) yet criticized Genesis. This was due to several reasons. First, they held to a rigidly literal interpretation of the book which would not allow for figures of speech, such as anthropomorphisms. To claim that God spoke would be absurd to the Manichee because God is spirit and a spirit does not have a mouth with which he could speak. Since the Bible repeatedly utilized this type of anthropomorphism, the Manichees found numerous reasons to criticize it and their criticisms eventually impacted the young Augustine who was struggling to develop a reasonable understanding of Scripture. Second, they believed the God of Scripture possessed some unattractive qualities. He favored one group of people over others. He commanded His chosen people to circumcise every male. He created poisonous animals and allowed all sorts of evil to occur in the world (O’Meara 1954, p. 66). Finally, Genesis contradicted their rather elaborate cosmogony and theodicy. The Manichees held to a form of universal dualism. They believed that the Principle of Good and the Principle of Evil existed eternally and were diametrically opposed to each other. Man and the rest of creation are results of conflict between these two Principles. From this foundation, the Manichees developed a convoluted angelology and anthropology (O’Meara 1954, pp. 68–70). In contradistinction to these beliefs, the Bible explains that only the perfectly good God is eternal and evil is a result of the free choices made by His creatures. He began his first commentary by elucidating the issues advanced by the Manicheans and why a study of Genesis 1 would refute their claims. After a brief introduction he began to explain the text of the first three chapters. Due to space limitations, this paper cannot adequately review all of Augustine’s comments, but will highlight some selected portions to demonstrate the development of his thought over the years. The world did not begin in time—the world was the beginning of time. Time did not exist before creation and then at some moment in time God created the world. Again, it was not a creation in time, but a creation of time (Geisler 2003, p. 433). understand how they should blush for shame at lacking the fruit of good works in the field of God, that is, in the Church . . . (Augustine 2002a, I.13.19). This should not be understood as an allegorical interpretation because he believed God truly created the fruit-bearing trees. Despite his occasional foray into more of a literal hermeneutic, the majority of Genesis 1 is interpreted in allegorical fashion. Augustine offered two allegorical interpretations of the meaning of the six days. First, he sees the creation days as representing the six ages of the world. He did not follow the example of other Church fathers6 who believed each day was a normal-length day but symbolically represented a millennium, but cited the beginning and end of each age. For example, the first age stretched from Adam to Noah and the second from Noah to Abraham (Augustine 2002a, I.23.35–41). He also gave a more personal allegorical interpretation in which each of the days corresponds to a specific developmental period of each person’s life (Augustine 2002a, I.25.43). I, however, must confess that I have not the slightest idea why mice and frogs were created, and flies and worms; yet I can still see that they are all beautiful in their own specific kind, although because of our sins many of them seem to be against our interests . . . . If these insufferably talkative and wrongheaded people [the Manichees] would just stop to think about this for a moment, they wouldn’t go on boring us to death, but by reflecting themselves on all such beauties from the highest to the lowest would in all cases praise God the craftsman; and since none of these things is offensive to reason, then wherever our carnal senses are offended, they would put it down to what is due to our mortality, not to anything wrong with the things themselves (Augustine 2002a, I.26). Augustine admits there are instances which are beyond his understanding. This may seem like a foolish thing to admit in the course of a debate, but it displays his acknowledgment that God’s ways are higher than man’s ways ( Isaiah 55:9 ). when the day had been made on which God made heaven and earth, and all the greenery of the field before it was upon the earth, and all the fodder of the field before it sprouted. Modern translations have corrected the text to indicate that the “plant of the field” and the “herb of the field” had not yet grown because it had not rained and there was no man to till the ground. The problem is that Augustine tries to expound on the creation of something that Scripture clearly states was not in existence yet.7 Another example of this is found in Genesis 1:2 . Augustine’s version stated that the earth was “invisible and shapeless” (Augustine 2002a, I.3.5) rather than the modern “without form and void.” Once again, Augustine is forced to explain something that would not be an issue if he had an accurate translation. He also quoted freely from books which Protestants deem to be apocryphal works, such as Wisdom of Solomon and Sirach. Although he would continue to cite these books in his later commentaries, he modified his view of their authority. He explained that he did not think it was right to ascribe the words of Sirach 10:9 to a prophet as he had done earlier since “they are not found in a book by an author we are absolutely certain should be called a prophet” (Augustine 2010, I.10.3). His tone might surprise the modern reader because of the harsh language used to describe his opponents. For example, he called them “irreligious wretches” (Augustine 2002a, II.2.3) and claimed that “nothing was more manifestly foreshadowed in that serpent [Satan] than [the Manichees]” (Augustine 2002a, II.25.38). Augustine had little patience for Manichean beliefs and he certainly made it clear that he was no longer a member of that heretical sect. Overall, his first commentary provides invaluable information about his early years as a believer and some outstanding critiques of the Manichean cult. Approximately five years after publishing his work against Manichaeism, Augustine attempted a second commentary on the book of Genesis. Although they are not mentioned by name in the commentary, the Manichees were occasionally in Augustine’s sights. He now believed that a literal interpretation of Genesis was feasible, in addition to the allegorical hermeneutic of his first work. This aptly titled work is called the Unfinished Literal Commentary on Genesis because he started but never finished the work. He stopped after reaching the twenty-sixth verse of the first chapter. In his Revisions he added a few more paragraphs (Fiedrowicz 2002, p. 106) and then stopped. As such, his mature views on the subject would not be published until his comprehensive literal commentary. History is when things done by God or man are recounted; allegory when they are understood as being said figuratively; analogy, when the harmony of the old and new covenants is being demonstrated; aetiology, when the causes of the things that have been said and done are presented (Augustine 2002c, 2.5). You may choose whichever you prefer; only avoid asserting anything rashly, and something you don’t know as if you did; and remember you are just a human being investigating the works of God to the extent you are permitted to do so (Augustine 2002c, 9). So then, although it is without any stretch of time being involved that God makes things, having ‘the power to act available to him whenever he will,’ (Wisdom of Solomon 12:18) all the same the time-bound natures made by him go through their temporal movements in time (Augustine 2002c, 7.28). Once again, the Vetus Latina caused him to reject a literal understanding of a particular passage. When discussing the creation of the flying and swimming creatures of the fifth day, Augustine could not imagine that a fish or bird could conceive, carry in the womb, and give birth before the evening of the fifth day arrived (Augustine 2002c, 51). The problem is that the text does not say that they did conceive, carry, and give birth before the end of the day. It merely mentions that God created the fish and birds on this day and that He had “programmed” them to perform these reproductive activities during their lifetimes. Yet, the Old Latin text is a bit ambiguous and seems to suggest that they performed these duties prior to the end of the fifth day. The Unfinished Commentary may be the least important of Augustine’s commentaries on Genesis for several reasons. First, it remained unfinished and he would seek to improve upon it in his final literal commentary on the book. Second, it does not hold the rich apologetic content that his commentary against the Manichees regularly exhibited. Thirdly, it has not been as well-read as the commentary included in his Confessions. Finally, much of the material is repeated in The Literal Meaning of Genesis. Despite these facts, the unfinished commentary provides a glimpse into Augustine’s spiritual and mental development in his early years as a priest prior to becoming the famed Bishop of Hippo. It also reveals his newfound belief that Genesis could be understood in a literal fashion. Perhaps Augustine’s best-known commentary on Genesis is found in his popular collection of books entitled The Confessions. The final three books in this work are often considered to be a commentary, although this may be an inaccurate term for what Augustine has written. After describing his journey to the Christian faith for the first nine books and a book on memory, he added three books on Genesis. It seems that his goal was not to provide an actual commentary, but to use the passages about the creation of the world in a way in which he could elucidate the changes God had wrought in his own life. Thus, after moving toward a more literal hermeneutic in his unfinished commentary, Augustine returns to a nearly full-fledged allegorical style in The Confessions. Accordingly when anyone claims, “He meant what I say,” and another retorts, “No, rather what I find there,” I think that I will be answering in a more religious spirit if I say, Why not both, if both are true? And if there is a third possibility, and a fourth, and if someone else sees an entirely different meaning in these words, why should we not think that he was aware of all of them, since it was through him that the one God carefully tempered his sacred writings to meet the minds of many people, who would see different things in them, and all true (Augustine 1997, XII.31.42). Augustine would probably have never allowed for such variety of interpretation when it came to other key doctrines of the faith, such as the virgin birth, crucifixion, and resurrection of Jesus Christ. Certainly, these doctrines are more important to one’s salvation, but the problem is the same. 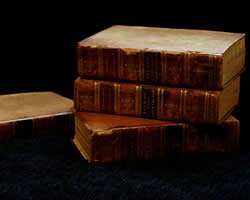 If one can allegorize or spiritualize a narrative passage, what hermeneutical principle forbids him to do the same with the passages on which salvific doctrines are based? If one arbitrarily chooses which passages are to be interpreted literally and which are allegorical, then the Bible can be made to say just about anything. This is not what Augustine advocated, yet, when it came to Genesis one, Augustine allowed for the possible truthfulness of “entirely different meanings” to come from the same text. Whoever thinks he had understood the divine scriptures or any part of them in such a way that his understanding does not build up the twin love of God and neighbor has not yet understood them at all (Augustine 1996, I.36.40).
. . . consider how foolish it is rashly to assert that Moses intended one particular meaning rather than any of the others. If we engage in hurtful strife as we attempt to expound his words, we offend against the very charity for the sake of which he said all those things (Augustine 1997, XII.35). Thomas Williams declared that Augustine’s commitment to this principle was so strong that “even misreadings of Scripture are scarcely objectionable if they build up charity” (Williams 2001, p. 68). After opening with some introductory comments and a prayer for understanding, Book XI deals with the issue of time and eternity. Similar to his first commentary, he argued that time itself was created when God created the universe. He speculated that time may be simply a matter of one’s consciousness but seems to reject that notion after contemplating some of its ramifications. He even anticipated Einstein’s theory that time is marked by the movement of physical objects, although he remained unsure of the very nature of time (Augustine 1997, XI.25.32). In the end, Augustine praised God for being beyond man’s understanding and encouraged others to do the same (Augustine 1997, XI.31.41). In the final book of The Confessions, Augustine began with some musings on why God created the world and its creatures. He rules out the possibility that God created these things because they were deserving of being created (Augustine 1997, XIII.3.4). and the notion that God was lacking something until He created (Augustine 1997, XIII.4.5). He also offered some thoughts on the Trinity, especially the Holy Spirit. Augustine’s final comments in this commentary were reserved for a discussion of the hexaemeron. Although he believed these events are truly historical, his discussion of the six days is predominantly allegorical, with the lone exception of the creation of mankind. The African father seems to have always interpreted man’s creation in a more literal sense. Following is a list of his allegorical interpretation of the Creation Week. He regarded the creation of man in God’s image as literally true, yet he could not bring himself to do the same with the other verses about man. When God told man to be fruitful and multiply ( Genesis 1:28 ), Augustine uses an argument from silence to claim that it should be interpreted figuratively.11 Instead of physical reproduction, he believes this verse refers to the human ability to learn and pass on what one has learned to others (Augustine 1997, XIII.37). The Confessions is an outstanding resource for learning about Augustine’s personal journey to the faith. In particular, this writing on Genesis magnifies his appreciation of the Lord who created new life in him in what he believed was a similar fashion to the way He created the world. However, since his goal was to use the hexaemeron as an allegory for his own journey to the faith, it has very little bearing, if any, on the modern debate over the correct interpretation of this chapter. His subjective interpretation and lengthy argument for multiple interpretations ultimately suggest that each reader can decide for himself what the text means as long as his interpretation does not contradict other teachings of Scripture (Augustine 1997, XII.18.27). Augustine’s final commentary on Genesis was undoubtedly his most concerted effort as it was written over a fifteen year period. His commentary against the Manichees and the commentary in his Confessions were based on allegorical interpretations. Since he had not finished his earlier literal commentary, he set out to demonstrate that the first three chapters of Genesis could be understood in a literal sense, as he defined it. This commentary is particularly important for many reasons and, as such, it requires much more attention than the others. Since it was his final commentary, it represents Augustine’s most mature understanding of these chapters. Also, he had a broader scope than the allegorical commentaries since was not focused merely on refuting one heretical view or showing how the creation account symbolized his own testimony. Third, it is by far the longest of the commentaries. In fact, it is longer than his first three commentaries combined. Fourth, he sought to offer a “proper assessment of what actually happened” (Augustine 2010, 11.24). Finally, Augustine shared his beliefs on the proper relationship of science, reason, and faith. These final two reasons have direct relevance to the modern controversy in the Church over the Bible’s teaching concerning the age of the earth. One of the major problems Augustine faced in his literal commentaries is that he attempted to reconcile a straightforward reading of the text with the scientific understanding of his day. He devoted a considerable amount of space in laying out his perspective on the relationship between faith and science. In the first book of his final commentary, Augustine warned believers not to make bold assertions on matters in which they were not skilled. There is knowledge to be had, after all, about the earth, about the sky, about the other elements of the world, about the movements and revolutions or even the magnitude and distances of the constellations, about the predictable eclipses of moon and sun, about the cycles of years and seasons, about the nature of animals, fruits, stones, and everything else of this kind. And it frequently happens that even non-Christians will have knowledge of this sort in a way that they can substantiate with scientific arguments or experiments. Now it is quite disgraceful and disastrous, something to be on one’s guard against at all costs, that they should ever hear Christians spouting what they claim our Christian literature has to say on these topics, and talking such nonsense that they can scarcely contain their laughter when they see them to be toto caelo,12 as the saying goes, wide of the mark. And what is so vexing is not that misguided people should be laughed at, as that our authors should be assumed by outsiders to have held such views and, to the great detriment of those about whose salvation we are so concerned, should be written off and consigned to the waste paper basket as so many ignoramuses (Augustine 2002b, I.39). Augustine was concerned that Christians might make fools of themselves by confidently declaring that Scripture taught something that was proven incorrect by the sciences. He felt that this type of activity would lead to a mockery of the faith by those who needed to be evangelized. Some of the weaker brothers and sisters, however, are in danger of going astray more seriously when they hear these godless people holding forth expertly and fluently on the “music of the spheres,” or on any questions you care to mention about the elements of this cosmos. They wilt and lose heart . . . and can scarcely bring themselves to touch the volumes [Scripture] they should be devouring with delight . . . [because] they have no time to be still ( Psalm 46:11 ), and to see how sweet the Lord is ( Psalm 34:8 ). And that is why they are too lazy to use the authority they have received from the Lord . . . . (Augustine 2002b, I.20.24). Augustine firmly believed that true science and the true interpretation of Scripture would agree in every detail. However, rather than following his own advice in this comment, Augustine frequently rejected the plain interpretation of Scripture because he was committed to particular philosophical and scientific beliefs, many of which have now been invalidated. Several examples of this will be cited later. Augustine’s goal in the commentary was to demonstrate that the first three chapters of Genesis could be understood in their literal sense, as he defined it. The first three books are dedicated to discussing the first chapter of Genesis. The next six books deal with the second chapter of Genesis and the creation of angels and man’s soul. Books ten and eleven focus on Genesis 3 and the final book discusses various concepts about paradise. In the second book, he dealt with the second, third, and fourth days of creation. Here he dives into many of the scientific issues with which he was concerned. He wrote a lengthy essay on the nature of the elements as they were understood during his time. Although the modern scientist would be unimpressed with many of his ideas, the arguments presented in this section demonstrate his keen mind and his desire to understand both God’s word and God’s world. He developed another argument for the Trinity being involved in these particular days of creation. Once again, Augustine revealed his apologetic and pastoral interests as he introduced numerous questions that apparently were common in his day. One of these questions concerns the phase in which the moon was created. He presented the cases for the full moon and new moon positions, but concluded that he stood “in the middle between these two opinions, asserting neither of them, but definitely saying that whether God made the moon at its first phase or at the full, he made it perfect” (Augustine 2002b, II.15.30). He also addressed the question as to whether or not the luminaries of heaven were living beings. He remained undecided on the issue because he believed Scripture was silent concerning the subject (Augustine 2002b, II.18.38). Perhaps his strongest arguments are found near the end of the second book. Just as it is in modern times, astrology was very popular in his day. Augustine logically refuted this practice and strongly warned anyone about the dangers of getting involved in it. To refute astrology, he pointed out that twins are conceived and born at the same time and yet so often their lives are completely different. The problem is that an astrologist would predict similar lives for the twins because their lives would have been directed by the stars based on the time of their births (Augustine 2002b, II.17.35). He used Jacob and Esau as examples since Jacob was holding Esau’s foot as they were delivered. He reasoned that there was surely no alteration in the stars during the moment of their birth that would modify their respective destinies so drastically. He concluded that astrology was the work of deceiving spirits, which accounted for the astrologers’ ability to occasionally make accurate predictions. After all, demons are extremely intelligent, have lived for a long time, and have learned some things from the holy angels. So they are capable of making well-educated guesses about the future, and sometimes have the ability to bring these things to pass (Augustine 2002b, II.37). There will be more fruitful passages time and again later on for a more thorough reflection on the nature of man . . . I must briefly insist . . . that the following point [concerning the phrase, “Let Us make man . . . ”] is not to be passed over lightly (Augustine 2002b, III,19.29). Instead, Augustine focused on the creation of the animal kingdom and answering some of the many questions surrounding its formation. Similar to the first two books in this commentary, Augustine frequently wondered why the chapter states what it does. He wanted to know why the blessing to man to be fruitful and multiply was also given to the fish and birds, but not land animals (Augustine 2002b, III.13.21). He speculated as to whether or not insects were made during the Creation Week or if the perishable material things from which they allegedly sprang contained them in seed form (Augustine 2002b, III.14.22–23). He sought an answer as to when plants with thorns and thistles, as well as non-fruit bearing trees were created.19 The book concludes with a discussion of why God did not say that the creation of man was good as He said about many of the other things He created. Augustine’s answer is that perhaps the lacking of the oft-repeated phrase is due to a foreshadowing of man’s fall, which was soon to follow. The Literal Meaning of Genesis offers an incredible amount of insight into Augustine’s beliefs about the origin of the world and his understanding of the Bible’s first chapter. It is also possible to discover many of the questions people asked about Genesis during his time. Finally, this commentary reveals a great deal of Augustine’s attempts to reconcile the words of Scripture with the scientific understanding of his day. It is this point that must be examined in some detail because his archaic beliefs often led him to an improper interpretation. Ultimately, this problem can be blamed on his hermeneutic of allowing prevailing scientific and philosophical beliefs to override the clear words of Scripture. The greatest obstacle facing Augustine in his attempts to exegete the first chapter of Genesis was his a priori acceptance of an instantaneous or timeless creation.20 This interpretation cannot be found in the text, but is almost certainly due to his Neo-Platonist leanings.21 Instead, the text clearly demonstrates that God spaced the time of creation over a period of six days. Genesis 1 is clear that God created everything over the course of six consecutive normal-length days. This truth is repeated in Exodus 20:11 and Exodus 31:17–18 . A simple study of the creation order reveals the chronological progression of the creation account as each of the days after the first one depend upon the completed action of an earlier day. The waters made on the first day were divided on the second. The waters were gathered together in one place on the third day while dry land appeared and vegetation was created on it. The sun, moon, and stars of the fourth day were placed in the expanse created on the second day. The swimming creatures of the fifth day were created in the waters, while the flying creatures flew on the face of the expanse of the second day and multiplied on the land of the third day. The land animals lived on the land and ate the vegetation of the third day. Finally, mankind was created and given dominion over all these things (Chaffey 2008, p. 51). Rather than recognizing the necessity of a progression of time, his a priori commitment to a timeless creation caused him to search for non-literal elements in the text. The Vetus Latina once again led him to believe that when God began creating the world it was shapeless and invisible rather than simply being unfinished.22 With this in mind, Augustine speculated about how God could have spoken words, such as “Let there be light” ( Genesis 1:3 ). He reasoned that since the matter was shapeless and invisible then it would have been impossible for a sound to have actually been made. Consequently, the statement “Let there be light” could not have been made in time, but in eternity, and it could not have literally referred to the creation of light, but of intelligent life (Augustine 2002b, I.17). These errors led him to spiritualize the creation of the sun, moon, and stars on the fourth day (Augustine 2002b, II.23). This complicated reasoning could have easily been avoided if he would have accepted a progression of time during the creation rather than clinging to an instantaneous creation. Instead of making definite statements about the text, he often asked questions that came to his mind and then sought out the answers. In the process of answering his own questions, he made numerous errors based on the science of his day. He accepted geocentricism as the proper view of the solar system. After a discussion on the various weights of water, earth, air, and fire, he tried to answer why Saturn was believed to be so cold. He mused that this “star” should have been the hottest for two reasons. First, it was the fastest moving star. Second, since it was made of fire, which was the lightest of the elements, it would have rose highest above the Earth. However, he solves this “problem” by citing the separation of the waters on Day Two. Since some of the waters were put above the firmament they would have been in the form of ice. And since Saturn was closest to the icy waters above the firmament, it remained cooled by the ice (Augustine 2002b, II.5.9). He accepted the belief in the spontaneous generation of insects by the putrefaction of material items (Augustine 2002b, III.14.22). This led him to conclude that insects were not a part of the Creation Week, except possibly in seed form. A more natural solution is to hold that insects were created on the sixth day when God made everything that “creeps on the earth” ( Genesis 1:25 ). It is also possible that some of them were created on the fifth day when God made the flying and swimming creatures. This provides an illustration of the dangers of allowing scientific understanding to trump Scripture. It seems wise to allow scientific understanding to elucidate unclear passages, but these conclusions should only be held tentatively since scientific conclusions regularly change. When Scripture clearly teaches something, science should never be used to overrule it. It is strange that Augustine does not comment on or cite this verse in any of his commentaries. Of course, many of these animals are now carnivorous so it is a fair question to ask. Perhaps the best solution is that these animals were changed at the time of the Curse. The serpent was “cursed more than all cattle and more than every beast of the field” ( Genesis 3:14 ). This implies that these animals were also cursed.24 This may very well have involved a change of diet. The fact is Augustine was not concerned with the issue of the age of the earth. It would be wrong to classify him as an old-earth creationist, theistic evolutionist, young-earth creationist, or even as a supporter of the Intelligent Design Movement.26 Nowhere in his commentaries did he make an attempt to prove one of these views, because he was focused on other issues. There are three major problems with this approach. Scientific opinion is constantly changing. Although scientific understanding has vastly improved since Augustine’s day, it is by no means infallible or static. Instead, scientific consensus is continually changing. If proper biblical interpretation must be determined by the science of the day, then the meaning of God’s word must continually change along with the science. The second major problem is that much of the modern debate is based on a misunderstanding of science and its limits. The claims that the earth and universe are billions of years old are not based on observational science. Rather they are based on dating methods that are all based on unverifiable and naturalistic philosophical assumptions.30 The question of the age of something is not a question for the scientist, but for the historian. Asking when something happened is different than asking how and why something works. To properly answer the question of the age of the earth, one should consult a reliable historical record that reveals the answer. God’s word is infallible, unchanging, and historically reliable and a plain reading of the text along with some simple calculations place the age of the earth at roughly six thousand years. Finally, perhaps the biggest problem is the inconsistency with which this hermeneutic is used. If those who practiced it were to apply the same principle to other key doctrines, crucial passages of the Bible would need to be reinterpreted to fit modern scientific consensus. Modern science does not accept virgin births or resurrections from the dead. Thankfully, these Christians inconsistently apply their hermeneutic; otherwise, they would not believe the Gospel. Yet there is simply no justification for picking and choosing which portions of Scripture one reinterprets based on science and which sections he accepts by faith despite the conclusions of science. Augustine’s commentaries on the first chapter of Genesis contain invaluable information for the Church. His insights reveal many of the threats facing the early Church, whether they were from cults like the Manichees or the skeptical natural philosophers of the day. His use of Genesis to refute false teachings and set forth the truth should be instructive for church leaders today.31 His conviction that God’s word is authoritative and inerrant should also be emphasized among modern believers. It would be wrong to fault Augustine for how others have misused and abused his writings. Much of the misuse is due to a failure to recognize his context and his changing interpretive approaches throughout the commentaries. However, one must realize that the cause of his changing hermeneutic had more to do with his spiritual growth than with trying to appease the beliefs of his contemporaries. He certainly published contradictory interpretations and he could rightly be blamed for this. Yet, he should not be held accountable for the way in which modern participants in the debate utilize his statements in support of their view since he did not concern himself with these issues. He must be interpreted in light of his contextual setting. He was concerned with refuting the Manichees, Donatists, and many others, rather than teaching about the age of the earth. Finally, Augustine’s greatest fault in these commentaries lies in the fact that he often tried to reconcile God’s word with the scientific views of his day. Surely, the word of truth properly interpreted will never contradict accurate conclusions of scientists, but it will contradict incorrect conclusions made by fallible and limited men whose ideas are often based on naturalistic assumptions. Furthermore, man should not expect that every aspect of the creation week would be palatable to human reason or science. After all, God was creating miraculously and His ways are higher than man’s ways ( Isaiah 55:9 ). Moreover, Hebrews 11:3 claims that it is “By faith we understand that the worlds were framed by the word of God, so that the things which are seen were not made of things which were visible.” A humble recognition that God has revealed to man precisely what He did during the Creation Week would go a long way in resolving the ever-present controversies surrounding the hexaemeron. Just as Augustine must be interpreted in context, so must the Bible be allowed to speak for itself. If the Bible clearly affirms a truth then it matters not what the majority of scientists claim, because God knows exactly what He did, how He did it, when He did it, and He is capable of revealing it to man in an understandable manner. I ask you, dear reader, what need is there of those obscure and most foolish allegories when this light is so very clear . . . Do they not smother the true meaning and replace it with an idea which is not merely useless but disastrous? . . . For we have the Holy Spirit as our Guide. Through Moses, He does not give us foolish allegories, but He teaches us about most important events (Pelikan and Lehmann 1955). Augustine. 1996. In On Christian teaching, eds. J. E. Rotelle O.S.A and E. Hill. Hyde Park, New York: New City Press. Augustine. 1997. The confessions. Trans. M. Boulding. Hyde Park, New York: New City Press. Augustine. 2002a. On Genesis: A refutation of the Manichees.In On Genesis, ed. J. E. Rotelle O.S.A. Hyde Park, New York: New City Press. Augustine. 2002b. The literal meaning of Genesis. In On Genesis, ed. J. E. Rotelle O.S.A. Hyde Park, New York: New City Press. Augustine. 2002c. Unfinished literal commentary on Genesis.In On Genesis, ed. J. E. Rotelle O.S.A. Hyde Park, New York: New City Press. Augustine. 2010. Revisions. Trans. B. Ramsey. Hyde Park, New York: New City Press. Brown, F., Driver, S. R., and C. A. Briggs. 2000. Enhanced Brown-Driver-Briggs Hebrew and English lexicon, S. 1056. Electronic ed. Oak Harbor, Washington: Logos Research Systems. Chaffey, T. 2008. God means what He says: A biblical critique of the framework hypothesis. Browntown, Wisconsin: Midwest Apologetics. Clough, C. A. 2001. Dispensational implications for universal historiography and apologetics: Part 2 of 3. Chafer Theological Seminary Journal 7, no. 3:39–40. Cooper, D. L. 1970. The world’s greatest library graphically illustrated. Los Angeles, California: Biblical Research Society. Dengerink, J. 1976. The idea of justice in Christian perspective. Westminster Theological Journal 39, no. 1:2–60. Dockery, D. S. 1992. The history of pre-critical biblical interpretation. Faith and Mission 10, no. 1:4–34. Ellingsen, M. 2005. The richness of Augustine: His contextual and pastoral theology. Louisville: Westminster John Knox Press. Fiedrowicz, M. 2002. General introduction. In On Genesis , ed. J. E. Rotelle O.S.A. Hyde Park, New York: New City Press. Geisler, N. L. 2003. Systematic theology: Volume II. Minneapolis, Minneapolis: Bethany House. Ham, K., ed. 2006. The new answers book. Green Forest, Arkansas: Master Books. Hodge, C. 1872. Systematic theology. Repr. 1997. Oak Harbor, Washington: Logos Research Systems. Humphreys, D. R. 1994. Starlight and time. Green Forest, Arkansas: Master Books. Irenaeus. 1994. Against heresies. In The Ante-Nicene fathers. Volume I: The apostolic fathers, eds. A. Roberts and J. Donaldson. Grand Rapids, Michigan: Wm B. Eerdmans. Kelly, D. F. 1997. Creation and change: Genesis 1.1–2.4 in the light of changing scientific paradigms. Ross-Shire: Mentor. Lactantius. 1994. The divine institutes. In The Ante-Nicene fathers. Volume VII: Fathers of the third and fourth centuries, eds. A. Roberts and J. Donaldson. Grand Rapids, Michigan: Wm B. Eerdmans. Lavallee, L. 1989. Augustine on the creation days. Journal of the Evangelical Theological Society 32, no. 4:457–464. McGrath, A. 2009. Augustine’s origin of species. Christianity Today 53(5). Retrieved from http://www.christianitytoday.com/ct/2009/may/22.39.html?start=1. O’Meara, J. J. 1954. The Christian view of science and Scripture. Grand Rapids, Michigan: Wm B. Eerdmans. Pelikan, J. P. and H. Lehmann, eds. 1995. Luther’s works: American edition, 55 volumes, Volume 1. St. Louis, Missouri: Concordia Publishing House. Ross, H. 2000. The age of the earth. The John Ankerberg Show, October. Retrieved from http://www.youtube.com/watch?v=WNuHuG517lI. Ross, H. 2001. The Genesis question. Colorado Springs, Colorado: Navpress. Rusbult, C. 2001. Age of the earth: Why it does and doesn’t matter. Retrieved from http://www.asa3.org/ASA/education/origins/whyoe.htm. Smither, E. L. 2009. Augustine as mentor: A model for preparing spiritual leaders.Nashville, Tennessee: B & H Academic. Williams, T. 2001. Biblical interpretation. In The Cambridge companion to Augustine, ed. E. Stump and N. Kretzmann, pp. 59–70. Cambridge: Cambridge University Press. Wisdom of Solomon, 1989. New Revised Standard Version. Young, D. A. 1988. The contemporary relevance of Augustine’s view of creation. 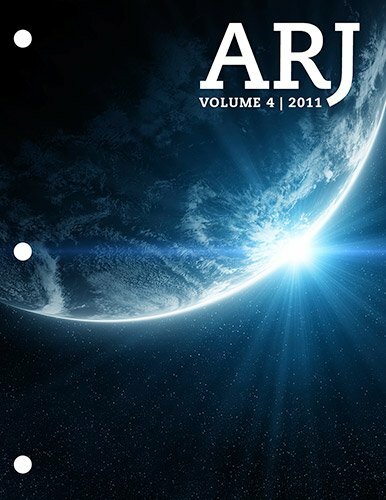 Perspectives on Sciences and Christian Faith 40, no. 1:42–45. Retrieved from http://www.asa3.org/aSA/PSCF/1988/PSCF3-88Young.html. Smither 2008, pp. 142–143. Although this commentary was written approximately eight years before he became a bishop, Augustine already demonstrated his concern for training fellow believers. Smither rightly included this book as being concerned with Christian teaching in his chapter of Augustine’s mentoring work prior to his role as bishop. The Manichees did not allow for non-literal interpretations, so Augustine likely reacted strongly against anyone adopting their particular hermeneutic. Also, as a maturing believer, he would surely have recognized the many errors of hyper-literalism. Psalm 104:2 states that God stretched out the heavens like a curtain or, in Augustine’s translation, a skin (Augustine 2002b, II.22). This term was often used by the Latin fathers and was a loan word from the Greek referring to the six days of creation. These comments are not meant to diminish Augustine’s work, but to point out that some of his comments are irrelevant because they do not deal with the actual text. It should be pointed out that because Augustine went to great lengths to argue for the validity of multiple interpretations, he was actually dogmatically asserting his own view that no one particular interpretation is the true meaning of the text. As such, even though he seemed to display humility in this conclusion, he was actually refusing to allow the author’s intended meaning to prevail and opted for a multiple subjective meanings instead. It is this sort of statement that has led some to claim Augustine believed in, or would at least be open to, some form of biological evolution. For example, see McGrath (2009). McGrath claims that Augustine’s views are crucial to today’s debate because he was not compromising with or impacted by the scientific views prevalent today. He goes on to mistakenly claim that Augustine was concerned only with the text, but as has already been shown, he was very strongly influenced by Neo-Platonic beliefs and sought to fit these presuppositions into the text. Augustine seems to support the concept of baptismal regeneration here by writing, “. . . for since you ordained baptism as the means of entry into the kingdom of heaven no one can get in by any other way” (Augustine 1997, XIII.21.29). His argument is that this must be interpreted figuratively because this command is only given to the birds and fish (whom he sees as representative of unregenerate humanity) and man (regenerate humanity), and not to the vegetation and land animals, which also reproduce physically. He stated that if God would have also told the vegetation and land animals to be fruitful and multiply then he would have been forced to interpret it literally. For example, Hodge wrote, “It is of course admitted that, taking this account by itself, it would be most natural to understand the word [day] in its ordinary sense; but if that sense brings the Mosaic account into conflict with facts, and another sense avoids such conflict, then it is obligatory on us to adopt that other [long periods of time]” (Hodge 1872, pp. 570–571). This quote can be found on numerous websites promoting an old-earth creationist view of the earth and universe. Those who cite it believe the quote can be used against the young-earth creationist viewpoint because they are allegedly boldly proclaiming that Scripture teaches something that contradicts many things that can be substantiated by scientific arguments and experimentation. While Augustine certainly did not have this issue in mind, the use of this quote misses his point because the age of the earth and universe cannot be substantiated by scientific arguments and experimentation. It is a question of age, which is actually a history question. To answer this, one should consult an accurate history book, if available. Young-earth creationists point out that the Bible is a reliable history book that teaches how and when the Lord created the earth and universe. As was mentioned earlier, this is likely based on the poor word choice of the Vetus Latina. He devotes only six paragraphs to discuss the creation of man in this book. Hebrew text from Biblia Hebraica Stuttgartensia. Transliteration and translation mine. Hebrew definition from Brown, Driver, and Briggs 2000, S. 1056. Augustine provided an interesting but flawed response to this question. He rightly pointed out that Genesis 3:18 mentioned the beginning of thorns and thistles. He elaborates on the phrase “to you” in this verse and supposes that thorns and thistles may have existed elsewhere prior to Adam’s sin because many birds eat thorny plants and these would not impact Adam’s work at the time (Augustine 2002b, III.18.27–28). Augustine wrote, “Here we have the spiritual creation which in its contemplation of Truth is beyond all time, and God giving an order outside time, and the spiritual creation hearing it outside time” (Augustine 2002b, I.17). Neo-Platonism held a view of the “One” that was wholly other or transcendent, and which had both spiritual and physical emanations springing from it. As the “One” was timeless, so the physical emanation from the “One” must have been timeless. The modern “without form and void” (Hebrew tohu waw bohu) conveys the meaning that the earth had not yet been given the form it has now (Kelly 1997, p. 82). While it may be impossible to be dogmatic that all animals were originally vegetarian, since the fish are not listed, this verse mentions “every beast of the earth, every bird of the air,” and “everything that creeps on the earth.” These three classifications cover all land creatures which are frequently carnivorous today. Augustine did in fact claim that man’s history on earth was less than 6,000 years, but he was unclear about the amount of time that may have passed, if any, prior to man’s creation (Ham 2006, pp. 89–90). Augustine certainly used arguments similar to those in the Intelligent Design Movement. As cited earlier, he wished the Manichees would simply stop and reflect on the creature because it would cause them to glorify God. Nevertheless, Augustine held to the authority of Scripture and relied on Genesis for many of his views, whereas proponents of the Intelligent Design Movement often intentionally avoid citing Scripture. The Galileo affair is often used by old-earth creationists to discredit young-earth creationists. They claim that science proved that the church should adjust its interpretation to scientific fact (Rusbult 2001). However, the real problem at the time was that the church had already blended science and Scripture and stubbornly refused to rethink the position when new discoveries proved the earlier science to be wrong. The big bang proposes that the sun formed long before the earth while the Bible states the earth was created on the first day and the sun on the fourth. Also, the big bang proposes that earth originally formed as a hot molten ball, while the Bible states that earth was originally created as covered by water. From the big bang perspective, the earth has never been entirely covered by water. Humphreys has proposed what he calls a white hole cosmology (Humphreys 1994). This view is based on the biblical idea that God stretched out the heavens yet it does not require billions of years. Instead, Humphreys effectively demonstrates how light could have traveled billions of light years while only a few days passed on earth. Every dating method, including starlight from distant galaxies and radiometric dating techniques, are based on three assumptions. First, it is assumed that one knows the initial conditions of what they are examining. Second, it is assumed that the process has always occurred at a steady rate. It is easy to show this assumption is wrong in every case and is refuted in 2 Peter 3. Finally, it is assumed that contamination of the data has not occurred. Sadly, due in large part to the controversy over the age of the earth, many Christian leaders ignore Genesis and the issues surrounding it. Yet this is one of the major areas of Scripture being attacked by critics.